Polished sterling silver. 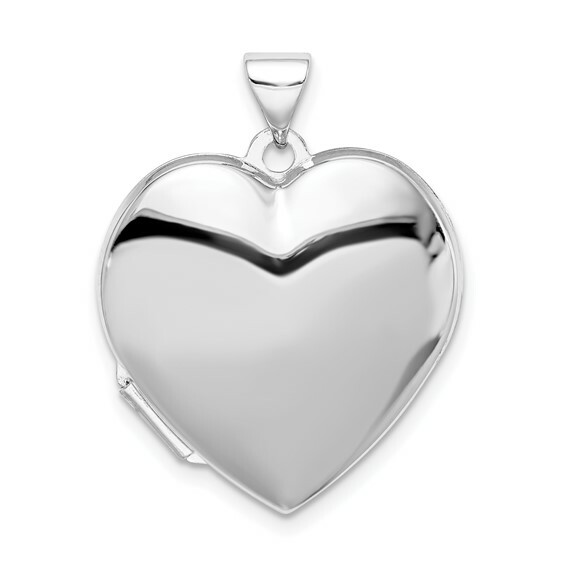 Plain 2-Frame heart locket. Weight: 2.52 grams. Measures 3/4 inch tall by 7/8 inch wide. Chain not included.